From star-studded gala charity events, to Drive, Chip and Putt programs, to simply helping young children learn some important life values, The First Tee of Greater Chicago is serious about making a difference to the kids in its communities. And it’s serious about having fun along the way, too. The First Tee of Greater Chicago is dedicated to impacting the lives of young people, of all socioeconomic backgrounds, by providing educational programs that build character, instill life-enhancing values and promote healthy choices — all through the wonderful game we call golf. A youth development initiative of the World Golf Foundation, The First Tee is supported by the leading organizations in golf including the Masters Tournament, LPGA, PGA of America, PGA Tour and United States Golf Association. The First Tee of Greater Chicago’s mission is to reach 100,000 kids by 2020 through a variety of events and youth programs. Through collaborating and coordinating learning sites and instruction with local organizations and facilities, The First Tee of Greater Chicago wants to reach 100,000 area youth by 2020. The First Tee programs aim to help young people develop positive character traits by teaching golf and life skills in a seamless manner. 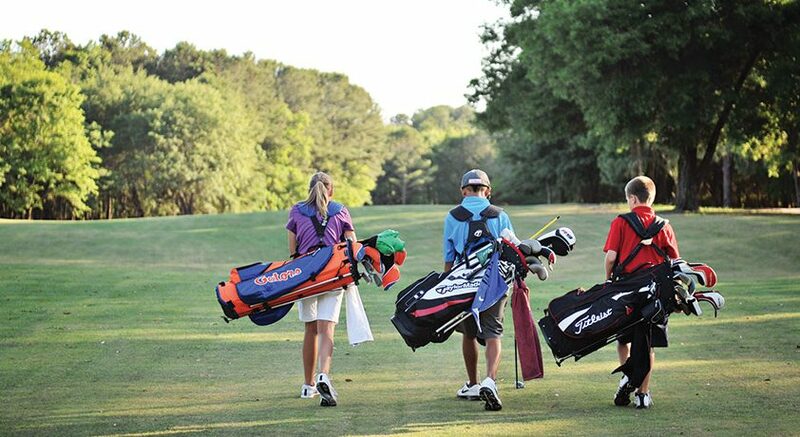 While learning to Drive, Chip and Putt, the program teaches the Nine Core Values inherent in the game of golf: honesty, integrity, sportsmanship, respect, confidence, responsibility, perseverance, courtesy and judgment. 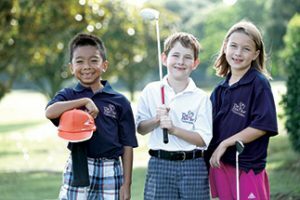 In addition to programming at local golf courses, The First Tee of Greater Chicago’s outreach efforts bring its golf and character education programming to elementary school children, K-5, during their physical education classes, through The First Tee National School Program and at community facilities, such as Park Recreation Centers, Boys & Girls Clubs and YMCA locations. The chapter is seeking qualified golf professionals and interested volunteers to help reach this amazing goal. If you are interested in starting a program at your school, organization or golf course and/or want to enrich your existing Junior Golf programs please contact Adam Murray, Director of Program Development at amurray@thefirstteegreaterchicago.org. Register your child! Beginner and advanced programs are available for youth (ages 7-17) and beyond instruction and leagues, outstanding leadership events both locally and nationally are available to participants. 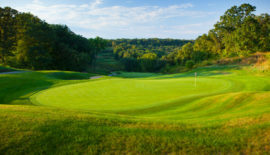 Visit www.thefirstteegreaterchicago.org to find a location near you. Carol Rhoades, The First Tee coach at Cog Hill Golf and Country Club in Lemont was named The PGA of Illinois Section Professional of the Year. 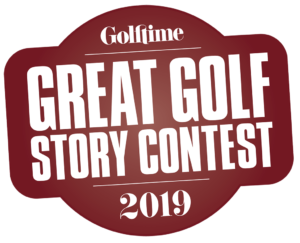 This prestigious award has been presented annually since 1955, and honors the club professional whose total contributions to the game best exemplify the complete PGA professional. “Carol Rhoades’ dedication to instilling the values of the game in the students she teaches is what makes her such an amazing coach and mentor. We are extremely proud to have her on our coaching staff,” said Lisa Quinn, executive director. The First Tee of Greater Chicago’s ability to continue providing affordable programming and expanding its reach to more youth, depends 100 percent on support and donations from caring people who share a love for golf and a passion for helping young people. The Chicago chapter will host signature events throughout the year to help raise funds for its year-round programming. 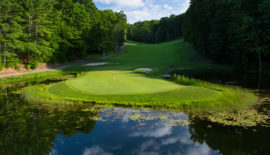 This year marks the 10th anniversary of The Luke Donald Taste of The First Tee and PGA Tour professional Luke Donald will once again team up with Terlato Wines International to host an amazing wine tasting. 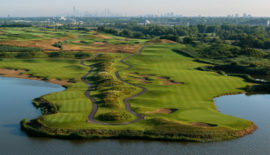 Last year, Masters champion Sergio Garcia joined Donald for the event, held during The BMW Championship at Conway Farms. 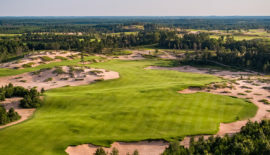 Stellar guests have included PGA stars Rory McIlroy, Mark Wilson, Rickie Fowler and Keegan Bradley, as well as Champions Tour greats including: Jay Haas, Jack Nicklaus, Steve Stricker, Ben Crenshaw, Tom Lehman, Bernhard Langer, Colin Montgomerie and Tom Kite. Want to get involved? Your company can support The First Tee while competing for some serious hardware and bragging rights at The First Tee Corporate Challenge. This year’s event will take place at the amazing Glen View Club on Monday, Oct. 8th Last year, Zach Johnson was the featured speaker. Donate, volunteer, register a child … there are many ways to become involved with The First Tee of Greater Chicago!